What Else Do You Get With Our Shared Web Hosting Packages? This is our commitment and round the clock efforts to keep our network up and running in 99.9% of the time. Our point-and-click editor assists you to choose variety of designs, customize, build galleries and more easily. 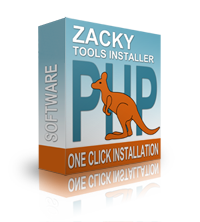 Find our automated installer in the shared and semi-dedicated hosting panel, to help you install popular php apps. Our cloud platform, runs email facilities on a separate server, reserved exclusively for you. There's no danger of data loss with our automatic backup system performing frequent backups. Our shared hosting is a multi-domain home for your sites. Host more domains with no additional cost. Support staff is ready to answer and will have a solution to your problem not later than 1 hour. What else do you get with our Semi-Dedicated Hosting packages? The higher resource cap defices semi-dedicated hosting as the better powered one and perfect solution for intense websites. Register a domain name for the lifetime of your semi-dedicated hosting plan or transfer your existing one, which will be renewed free every year. Semi-dedicated hosting is the perfect way to upgrade big and demanding sites when shared hosting becomes insufficient. What else do you get with our VPS Hosting packages? You will be absolutely autonomous from the other servers on the machine and you will have your own CPU and RAM resources. Each Virtual Server runs under its own operating system (CentOS or Debian) therefore absolutely autonomous. With our virtual server hosting, you have access to the main root directory of the server to completely customize it. Order additional Traffic, HDD Space, RAM, CPU or IP addresses. Upgrades are provisioned almost immediately. Our VPS service is a real dedicated server with independent kernel of the Linux OS, which you can customize or upgrade. Our VPS service is a real dedicated server. You have the root access rights to install any Operating System of your own choice. Our VPS's come with a private IP address, so you can take full control. Our VPS service is a real dedicated machine, where you can configure your own custom firewall setup. Our VPS service is a dedicated like machine - reboot your virtual machine anytime you want with a click of the mouse. Over the VPS management panel, we offer web-based console, to execute Shell commands remotely on your virtual machine. * Prices are valid for signup only, upon renewal the prices are: Business Hosting Plan $7.99$9.51£5.57£6.63€6.49€7.72 / month.